Not to be confused with University of Auckland. WF (Business) Building at AUT's Auckland City Campus. Auckland University of Technology (AUT) (Māori: Te Wānanga Aronui o Tāmaki Makau Rau) is a university in New Zealand, formed on 1 January 2000 when a former technical college (originally established in 1895) was granted university status. It has five faculties across three campuses in Auckland: City, North, and South campuses, and an additional three specialist locations: AUT Millennium, Warkworth Radio Astronomical Observatory and AUT Centre for Refugee Education. Data suggests that 86% of AUT's graduates are employed full-time within nine months of graduating. :35 In the 2019 World University Rankings, AUT was ranked as 301-350. AUT was founded as Auckland Technical School in 1895, offering evening classes only. Daytime classes began in 1906 and its name was changed to Auckland Technical College. In 1913 it was renamed Seddon Memorial Technical College. In the early 1960s educational reforms resulted in the separation of secondary and tertiary teaching; two educational establishments were formed; the tertiary (polytechnic) adopting the name Auckland Technical Institute (ATI) in 1963 and the secondary school continuing with the same name. For three years they co-existed on the same site, but by 1964 the secondary school had moved to a new site in Western Springs and eventually became Western Springs College. In 1989 ATI became Auckland Institute of Technology (AIT), and the current name was adopted when university status was granted in 2000. Sir Paul Reeves served as university chancellor from 2005 until his death in 2011. AUT has three campuses: City (in Auckland CBD), North and South, and the training institute, Millennium. City and North campuses offer student accommodation. AUT runs a shuttle bus service between the three campuses. City Campus spreads over several sites in the heart of central Auckland. The largest site is situated on Wellesley Street East and is home to most of the academic units and central administration, including the Vice-Chancellor's Office and research centres. The Faculties of Business, Economics and Law, Design and Creative Technologies, Culture and Society and Te Ara Poutama share this location. Facilities of the campus include an early childhood centre, International Student Centre, printing centre, gym, Chinese Centre, Pasifika Student Support Service, Postgraduate Centre and Te Tari Āwhina Learning Development Centre. The Central Library holds over 245,000 books and journals on four floors. There are cafes, restaurants and bars, including the student-owned Vesbar. Training restaurants Piko Restaurant and Four Seasons Restaurant have operated commercially since 2011. There is also a marae, the AUT Shop, St Paul St Art Gallery, a university bookshop, and the Wellesley student apartments. AUT has recently completed a number of buildings, including the new WZ building designed to house the engineering, computer science and mathematics students under one roof. The first 8 levels of the 12-storey $120 million building opened in July 2018 to coincide with the start of the second academic semester. The building itself was designed to be a teaching tool, with structural components visible, ceilings left exposed for viewing and the building management systems being visible on screens for analysis by students. Sustainability was also a goal, with rain water being collected for use in the labs, occupancy sensors in the rooms to ensure that areas are not being unnecessarily lit and solar fins on the outside of the building to regulate heat from the sun and ease load on the air-conditioning system. Another recent building completion is the $98 million WG precinct. Named after the former Chancellor of the university, the Sir Paul Reeves Building hosts the School of Communication Studies. The 12 storey building was officially opened by Prime Minister John Key on 22 March 2013. It provides an additional learning space of about 20,000 square metres that consists of convention spaces, screen and television studios and a motion capture, sound and performance studio. 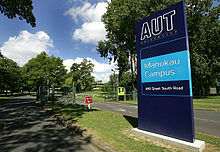 AUT opened South Campus (formerly Manukau Campus) in 2010, creating the first university campus based in the region. It offers undergraduate and postgraduate degrees in business, computer and information sciences, education, health sciences, year 1 of law, as well as sports management and science. South Campus hosts its own library, student lounges, student information centre, course information centre, computer labs, wireless network, and café. The campus also boasts astro turf courts with tennis, basketball, netball, volleyball, touch, and soccer equipment available for hire. In 2016, the University invested significantly in the construction of the Mana Hauora (MH) Building. Construction of MH was completed in December 2016, and was officially opened by Prime Minister Bill English in March 2017. As the largest building on campus, MH is now the new heart of the campus and incorporates a number of sustainability design features. In 2017, three awards were given in recognition of the new MH Building at the New Zealand Institute of Architects (NZIA) Auckland Regional Awards. North Campus is located on Akoranga Drive in Northcote. The Faculty of Health and Environmental Sciences (including the Sport and Recreation division) and School of Education share this campus, which has park-like grounds. AUT's main sport and fitness centre is located at the campus, encompassing a gymnasium, weights room, testing equipment, golf swing clinic, and indoor courts. The campus also offers a library, student services centre, early childhood centre, AuSM branch, PrintSprint shop, health counselling and wellbeing centre, university bookshop, and food outlets. In addition, the campus provides five health clinics (oral, physiotherapy, podiatry, psychotherapy, and ultrasound), which are now located at the NorthMed Health Clinic building at 3 Akoranga Drive, Northcote (since July 2017). North Campus is closely linked with the nearby AUT Millennium Institute of Sport and Health. Like AUT North Campus, the Millennium Institute is located on Auckland's North Shore, at Mairangi Bay. AUT Millennium provides sports training, and hosts national and local sports organisations, including Swimming New Zealand, New Zealand Water Polo, Northsport Olympic Weightlifting, and Sport and Recreation New Zealand. The institute has training facilities, athlete accommodation, sports science laboratories, an aquatics facility, and a commercial gym. AUT maintains a number of facilities off campus, including the AUT Radio Telescope, New Zealand's first radio telescope. The 12m telescope is located near Warkworth and is part of New Zealand's and Australia's involvement in the international mega-science project, the Square Kilometre Array. The AUT/New Zealand Alliance won the ‘Highly Commended’ award in the Innovation Excellence in Research category at the 2016 New Zealand Innovation Awards. AUT’s Centre for Refugee Education, located in Mangere, provides an on-arrival six-week education programme for the 1,000 refugees who come to New Zealand each year under the government quota scheme. The education programme teaches English language skills at early childhood, primary, secondary and adult levels, as well as orientation to life in New Zealand. With a new set of learners arriving every two months, and with ages ranging from early childhood to adult, the teaching team has developed a curriculum that gives refugees English and life skills, but remains flexible in order to tailor the lessons to each new intake. AUT offers undergraduate and postgraduate (both PhD and Master) degrees, as well as sub-degree qualifications such as diplomas and certificates. Programmes are offered in the areas/fields of applied sciences, art and design, business, business information systems, communication studies, computer and information sciences, education, engineering, health care practice, hospitality and tourism, languages, law, mathematical science, midwifery, nursing, occupational therapy, oral health, paramedicine and emergency management, Māori development, physiotherapy, podiatry, psychology, psychotherapy, public health, rehabilitation and occupation studies, social science, and sport and recreation. The AUT Business School has been recognised as one of the top business schools in the world by the Association to Advance Collegiate Schools of Business (AACSB) International. As a relatively new university, AUT came in eighth place in the 2006 Performance-Based Research Fund (PBRF) round, but has shown the greatest improvement in PBRF rating of New Zealand's eight universities. Research partnerships and exchanges have been established with some of the world's leading universities. AUT's growing research profile has seen an increase in research programme enrolments and external funding, as well as research institutions. The New Zealand Tourism Research Institute (NZTRI), brings together local and international experts in tourism and hospitality. It was established in 1999 by Professor Simon Milne, and is located in the School of Hospitality and Tourism. In 2010 the institute brought together 19 researchers as well as 15 PhD students, several other graduate students being linked to the Institute in more informal ways. NZTRI conducts research projects around the world and has developed strong links with Huế University in Vietnam, Wageningen University in the Netherlands, University of Akureyri in Iceland, McGill University and York University in Canada among others. Its research programme areas include coastal and marine tourism, community development, cultural heritage tourism, event tourism, health and wellness tourism, hospitality research, indigenous tourism, Pacific Islands tourism, tourism marketing, and tourism technology. The institute has a team of research officers, international interns and other allied staff. The Pacific Media Centre (PMC) is located within the School of Communication Studies. It was founded in 2007 to develop media and journalism research in New Zealand, particularly involving Māori, Pacific Islands, ethnic and vernacular media topics. It is recognised as a diversity project by the Human Rights Commission (New Zealand), and has been featured by the Panos London Media Development programme for its development communication work. The centre publishes Asia-Pacific journalism, and has published Pacific Scoop since 2009. It also publishes media and communication studies books, like the 2009 book Communication, Culture and Society in Papua New Guinea: Yo Tok Wanem?, in collaboration with other publishers or overseas universities. The center was featured as a Creative Commons case study in 2010. Founding director David Robie, a New Zealand author, journalist and media academic, won a Vice Chancellor's Award in 2011 for excellence in university teaching. Pacific Media Watch is PMC's daily independent Asia-Pacific media monitoring service and research project. The site was launched in Sydney in October 1996, and has links with the University of the South Pacific, the University of PNG (UPNG) and the Australian Centre for Independent Journalism (ACIJ). Since moving to AUT in 2007, it has become a digital repository and received a grant from the Pacific Development and Conservation Trust in 2010 to "expand its educational and research role for the Pacific region". PMW has established a Pactok server archive, and added a D-Space archive in 2010. Representatives of Pacific Media Watch report on the region's news developments, provide advocacy for media freedom, and published a media freedom report on the South Pacific in 2011. PMC has also published Pacific Journalism Review, a peer-reviewed research journal on media issues and communication in the South Pacific and Australia, since 2002. The journal was previously published at the University of Papua New Guinea from 1994 to 1999. The editorial policy focuses on the cultural politics of the media, including new media and social movements, the culture of indigenous peoples, the politics of tourism and development, the role of the media and the formation of national identity. It also covers environmental and development studies in the media and communication, and vernacular media in the region. In October 2010, PJR was awarded the "Creative Stimulus Award" for academic journals in the inaugural Academy Awards of the Global Creative Industries in Beijing, China. The journal has advocated free speech and freedom of information in the Asia-Pacific region. Within these research institutes exist a large number of research centres and units. The NIPHMHR administers the Pacific Islands Families Study. In the 2018 QS World University Rankings, AUT was ranked in the 441-450 band, which puts it in the top 2% of universities worldwide. The 2017 Times Higher Education (THE) World University Ranking ranked AUT as one of the top 20 universities worldwide for International Outlook, due to its high proportion of international staff, students and research partnerships. AUT was amongst the world’s top 60 young universities and ranked for the first time in THE’s top 150 universities under 50 years old. AUT is the first and only tertiary provider in New Zealand to be awarded the Rainbow Tick, which attests to the University’s work to ensure inclusiveness for the LGBTQI community, and in positively responding to issues of gender diversity. Stephen Tindall - founder The Warehouse. Peter Williams - alpine skier. Carol Hirschfeld - General Manager production at Maori Television, former anchor of 3 News, former executive producer of Campbell Live. Pippa Wetzell - host of Fair Go, former host of Breakfast at TVNZ. Charlotte Glennie - Asia correspondent for ABC. Duncan Garner - Radio Live drive host, former political editor at 3 News, TV3. Joel Defries - former presenter of Blue Peter on BBC, Select Live on C4. Dominic Bowden - presenter of X Factor New Zealand and former presenter of NZ Idol. Annette Presley - founder and CEO, Slingshot ISP. Bruce McLaren - race-car designer, driver, engineer and inventor. AuSM (Auckland Student Movement) is the students' association at AUT. Every student attending a course run by AUT University is a member of AuSM, and its primary function is to promote and maintain the rights and welfare of students. It provides advocacy and support, assignment binding, student diary and wall planner, Student Job Search, discounted phone cards, and food bank. The AuSM Advocacy Team provide advice to students with academic grievances, grade appeals, harassment, or tenancy issues. The AuSM Student Representative Council is composed of a President, a Vice President, and Māori Affairs, Pasifika, Diversity, International, Disability and Postgraduate Officers. There are Business and Law, Design and Creative Technologies, Health and Environmental Sciences, Culture and Society and Te Ara Poutama Faculty Representatives. There are also City Campus, North Campus and South Campus Representatives. AuSM representatives sit on various committees, focus groups and boards to speak out on behalf of 24,000 AuSM members. Former presidents include April Pokino (2014-2015), Kizito Essuman (2012-2013), Veronica Ng Lam (2010-2011), Andre D'cruz (2009), and Jan Herman (2007-2008). The 2018 president is Dharyin Colbert (in 2017 it was Urshula Ansell). AuSM provides a fortnightly student magazine called Debate. The magazine is produced by a full-time editor and a team of student contributors. The magazine features news, views, cartoons, feature articles and columns. Debate was recognised by the Aotearoa Student Press Association Awards in 2005 "Best Small Publication" (Rebecca Williams, editor) and 2009 "Best Humourist" (Ryan Boyd, editor) and "Best Original Photography" (Clinton Cardozo, designer). AuSM also produces an annual student diary and wallplanner, and operates social media accounts. AuSM supports more than 40 affiliated clubs, and organises concerts, comedy shows, live DJs, dance parties, the annual Orientation Festival and other events. AuSM sponsored the AUT Titans at the Australian University Games in 2009, winning gold in netball and touch rugby. The AuSM lodge is based in Tongariro National Park, accommodates up to 12 people and is available to AuSM members from $160 per night for up to 12 people. Campus venue Vesbar is owned and operated by AuSM for its students, and operates throughout the year. ^ a b c d e f g "AUT Annual Report 2016" (PDF). Archived from the original (PDF) on 13 June 2017. Retrieved 9 August 2017. ^ "AUT campuses - AUT". www.aut.ac.nz. Retrieved 9 August 2017. ^ "Facts and Figures". Retrieved 6 January 2019. ^ a b c d e "AUT 2016 Highlights and Achievements" (PDF). Archived from the original (PDF) on 10 August 2017. ^ "Auckland University of Technology (AUT)". The World University Rankings. Retrieved 30 September 2018. ^ Hayden Donnell, NZPA & NZ Herald staff (14 August 2011). "Sir Paul Reeves dies, aged 78". The New Zealand Herald. Retrieved 14 August 2011. ^ "AUT to get New Zealand's first 100% electric bus". Scoop Independent News – scoop.co.nz. 20 January 2017. Retrieved 5 July 2017. ^ "AUT Central Campus". aut.ac.nz. AUT University. Retrieved 19 December 2015. ^ "City Campus' newest building now open - News - AUT". news.aut.ac.nz. Retrieved 16 August 2018. ^ Jones, Nicholas. "New building a milestone for university". The New Zealand Herald. Retrieved 22 March 2013. ^ "AUT South Campus". Retrieved 17 July 2015. ^ "New heart of AUT South Campus to double student numbers - AUT". www.news.aut.ac.nz. Archived from the original on 10 August 2017. Retrieved 10 August 2017. ^ "Auckland Architecture Awards" (PDF). 2017. ^ "Contact - AUT Integrated Health - AUT". aih.aut.ac.nz. Retrieved 16 August 2017. ^ "AUT North Campus: location, directions and features". Archived from the original on 1 December 2011. Retrieved 17 July 2015. ^ "Getting to AUT Millennium". AUT. Archived from the original on 4 July 2017. Retrieved 5 July 2017. ^ "AUT Millennium: location, directions and features". Archived from the original on 6 November 2011. Retrieved 17 July 2015. ^ "Big step forward for NZ-Aust SKA telescope network - AUT University". aut.ac.nz. 30 July 2012. Archived from the original on 30 July 2012. Retrieved 10 April 2018. ^ "AUT Centre for Refugee Education: What we do - AUT". www.aut.ac.nz. Retrieved 10 August 2017. ^ "AACSB - Page Not Found". Archived from the original on 21 July 2015. Retrieved 17 July 2015. ^ "Research institutes: focusing on areas of excellence". Archived from the original on 21 July 2015. Retrieved 17 July 2015. ^ New Zealand Tourism Board. "Who makes up the tourism industry?". Academic and Training Institutes. Tourism New Zealand. Archived from the original on 29 October 2012. Retrieved 28 January 2013. ^ "AUT Website - NZTRI". aut.ac.nz. Archived from the original on 8 February 2018. Retrieved 10 April 2018. ^ "AUT University | Pacific Media Centre". AUT. 21 October 2015. Archived from the original on 20 July 2012. Retrieved 25 October 2015. ^ "Pacific Media Centre // New Zealand Human Rights Commission". HRC. Archived from the original on 2 March 2012. Retrieved 16 March 2012. ^ "Pacific Media Centre (PMC)". The Communication Initiative Network. Retrieved 10 April 2018. ^ "Pacific.scoop.co.nz". Pacific.scoop.co.nz. Retrieved 16 March 2012. ^ "New Zealand News". Scoop. 12 March 2012. Retrieved 16 March 2012. ^ "Books published by Pacific Media centre - Wheelers Books". Wheelers.co.nz. Retrieved 16 March 2012. ^ "Case Studies/Pacific Media Centre - Creative Commons". wiki.creativecommons.org. Retrieved 10 April 2018. ^ "David Robie - AUT University". Aut.ac.nz. Retrieved 16 March 2012. ^ "Pacific Media Watch | pacific media centre". Pacmediawatch.aut.ac.nz. Retrieved 28 November 2012. ^ "Asia-Pacific Network". Asiapac.org.fj. 9 April 2011. Retrieved 28 November 2012. ^ "Pacific Media Centre - profile". YouTube. Retrieved 28 November 2012. ^ "Pacific Media Watch Project - AUT University". Aut.ac.nz. 10 February 2012. Archived from the original on 7 January 2014. Retrieved 28 November 2012. ^ "The University of the South Pacific". USP. Retrieved 28 November 2012. ^ "UTS: Australian Centre for Independent Journalism". Acij.uts.edu.au. 9 November 2012. Retrieved 28 November 2012. ^ "Organization: Pacific Media Watch". Wiserearth.org. Retrieved 28 November 2012. ^ "Success stories - Trusts and Fellowships success stories - Pacific Media Watch expands resources". Communitymatters.govt.nz. Archived from the original on 22 December 2015. Retrieved 28 November 2012. ^ Affairs, The Department of Internal. "The Pacific Development and Conservation Trust". dia.govt.nz. Retrieved 10 April 2018. ^ "Pacific Media Watch". Pmw.c2o.org. Archived from the original on 13 November 2012. Retrieved 28 November 2012. ^ "DSpace at AUT University on the KAURI SERVER: Pacific Media Watch". Kauri.aut.ac.nz:8080. Archived from the original on 28 September 2008. Retrieved 28 November 2012. ^ "DSpace Community: Pacific Media Watch - Feedage - 10065809". Feedage. 24 July 2009. Archived from the original on 29 July 2012. Retrieved 28 November 2012. ^ "Pacific Media Watch | pacific media centre". Pmc.aut.ac.nz. Retrieved 28 November 2012. ^ "Communications and Information". Unesco.org.nz. 16 July 2009. Archived from the original on 8 February 2013. Retrieved 28 November 2012. ^ "pacific media centre | research: PJM1 - Pacific media freedom 2011: A status report". Pmc.aut.ac.nz. 3 May 2012. Retrieved 28 November 2012. ^ "Pacific Journalism Review". West Papua Media Alerts. ^ "Special report: Pacific media freedom 2011: A status report". Pacific Media Centre. Archived from the original on 22 December 2015. Retrieved 18 December 2015. ^ "Pacific Journalism Review". aut.ac.nz. Archived from the original on 7 January 2014. Retrieved 18 December 2015. ^ "Pacific Media Centre - articles: REGION: Pacific Journalism Review wins international award". Pacific Media Centre. ^ "Centre for Social Data Analytics - AUT". csda.aut.ac.nz. Retrieved 10 September 2018. ^ "Auckland University of Technology (AUT)". Top Universities. 16 July 2015. Retrieved 10 August 2017. ^ "Auckland University of Technology". Times Higher Education (THE). Retrieved 10 August 2017. ^ a b "World rankings and accreditations - AUT". www.aut.ac.nz. Retrieved 10 August 2017. ^ "AUT is the first New Zealand tertiary provider to get the Rainbow Tick - AUT". www.news.aut.ac.nz. Archived from the original on 10 August 2017. Retrieved 10 August 2017. ^ "Rainbow (LGBTI) students: services and resources - AUT". www.aut.ac.nz. Retrieved 10 August 2017. ^ "Professional & Organisational Development Unit". Waikato.ac.nz. Retrieved 20 December 2017. ^ "AuSM website". ausm.org.nz. Archived from the original on 8 March 2018. Retrieved 10 April 2018. ^ "your people at AUT. Declaration of the 2018 SRC President". AUTSA. Retrieved 17 May 2018. ^ "About – AuSM". ausm.org.nz. Archived from the original on 16 August 2017. Retrieved 16 August 2017. ^ "Account Suspended". www.vesbar.co.nz. Retrieved 10 April 2018. Wikimedia Commons has media related to Auckland University of Technology. The University of Canterbury is New Zealand's second oldest university. Victoria University of Wellington is a university in Wellington, New Zealand. 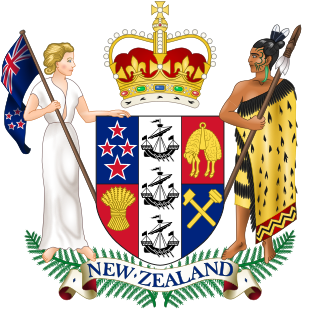 It was established in 1897 by Act of Parliament, and was a constituent college of the University of New Zealand. Massey University is a university based in Palmerston North, New Zealand, with significant campuses in Albany and Wellington. Massey University has approximately 30,883 students, 13,796 of whom are extramural or distance-learning students, making it New Zealand's second largest university when not counting international students. Research is undertaken on all three campuses, and more than 3,000 international students from over 100 countries study at the university. The University of Otago is a collegiate university located in Dunedin, Otago, New Zealand. It scores highly for average research quality, and in 2006 was second in New Zealand only to the University of Auckland in the number of A-rated academic researchers it employs. In the past it has topped the New Zealand Performance Based Research Fund evaluation. Public sector organisations in New Zealand comprise the state sector organisations plus those of local government. The University of Waikato, informally Waikato University, is a comprehensive university in Hamilton, New Zealand. The university was established in 1964, and has a satellite campus located in Tauranga. The University of Auckland is the largest university in New Zealand, located in the country's largest city, Auckland. It is the highest-ranked university in the country, being ranked 85th worldwide in the 2018/19 QS World University Rankings. Established in 1883 as a constituent college of the University of New Zealand, the university is made up of eight faculties; these are spread over six campuses. It has more than 40,000 students, and more than 30,000 "equivalent full-time" students. 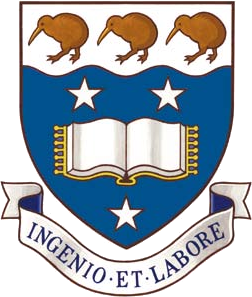 Lincoln University is a New Zealand university that was formed in 1990 when Lincoln College, Canterbury was made independent of the University of Canterbury. Its undergraduate study areas include agriculture, commerce, computing, engineering, environment, food, forestry, horticulture, hospitality, landscape, Māori planning, property, recreation, sciences, transport and winemaking. Southern Institute of Technology (SIT) is one of New Zealand’s largest institutes of technology, with 13,758 students in 2017 for a total of 4,922 EFTs. NorthTec is a tertiary education provider in northern New Zealand, with its main campus in Raumanga, Whangarei. NorthTec provides programmes ranging from foundation, certificate, diploma and degree levels. The degrees are nationally monitored and so can lead to postgraduate study at universities and other organisations. NorthTec works closely with local and national industries. The Eastern Institute of Technology (EIT) is a government owned tertiary education institution with three campuses: Hawke’s Bay, Auckland, and Gisborne, New Zealand. It is also referred to as EIT Hawke's Bay, EIT Tairāwhiti, and EIT Auckland. EIT serves as the main regional higher education centre for the Hawke's Bay and Gisborne regions. ACG Education is a New Zealand-based private education company that operates schools and other educational services in New Zealand and Asia. ACG offers education at all levels, starting at preschool and school education all the way through to university foundation programmes and vocational training. Incorporated as a New Zealand Limited Liability Company in 1994 it established its first school in 1995; and now ACG Education now delivers education to over 17,000 students in three countries through its 50 campuses located in 10 cities. It is New Zealand's largest independent educational services provider. It was acquired by Pacific Equity Partners in 2015 for an undisclosed sum. In 2017 it was rebranded as ACG Education. The Pacific Media Network is a New Zealand radio network and pan-Pasifika national broadcasting network, currently owned and operated by the National Pacific Radio Trust and partly funded by the Government. It includes the Niu FM radio network, Pacific Radio News and Auckland-based Radio 531pi station combined are accessible to an estimated 92 percent of the country's Pacific population. The network targets both first-generation Pacific migrants and New Zealand-born people with Pacific heritage. As of 2009, it was the only specifically pan-Pacific broadcaster in New Zealand. Auckland Institute of Studies (AIS) is the largest privately owned tertiary institute in Auckland, New Zealand. Professor Rhema Vaithianathan is a New Zealand academic who specialises in the field of health economics, and big data. She is a Professor in the School of Economics at Auckland University of Technology and is a co-director of the Centre for Social Data Analytics within that school.